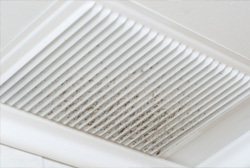 Indoor Air Quality: What are you Breathing? Most of us spend much of our time indoors. The air that we breathe in our homes, in schools, and in offices and other buildings can put us at risk for health problems. Indoor pollution sources that release gases or particles into the air are the primary cause of indoor air quality (IAQ) problems in buildings. Air pollutants can be emitted from office equipment, furniture, carpeting, common chemicals like cleaning supplies and pesticides, and gases from fireplaces, stoves, and furnaces. 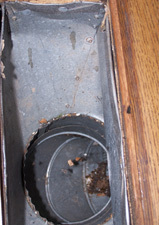 Other indoor air problems can come from living organisms like mold, pet dander, and dust mites. High temperature and humidity levels can increase concentrations of some pollutants. Exposure to these contaminants can increase the risk of allergic illness, trigger asthma, cause respiratory infections, or have other adverse health effects. At-risk individuals such as small children, the elderly, or those with health problems can be especially affected. Adequate fresh air ventilation is important to dilute emissions from indoor sources and also carry indoor air pollutants out of the building. Understanding and controlling some of the more common air quality issues can help improve your breathing air and reduce your family’s risk of health concerns related to IAQ. You can get a quick glimpse of some of the most important ways to protect your indoor air at www.epa.gov/iaq.